All the help you need to get your story written. Welcome to my website! If you’re working on a novel or non-fiction idea, my mission is simple: to help you get that manuscript finished. No matter what stage you’re at, I offer dedicated one-to-one support to fix whatever’s holding you up — and bring some extra structure, confidence and pleasure to your writing life. Intensive pre-writing to develop your idea and kickstart the first draft. Technical troubleshooting for mid-draft problems. A brisk, professional overview of your manuscript's strengths, weaknesses and potential. Detailed development for your complete draft, and a final polish. 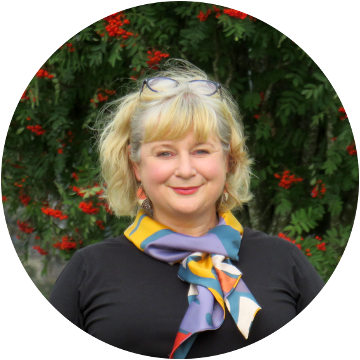 I’ve been working with writers professionally for over 20 years and have helped over 200 emerging authors — as a literary agent, editor, mentor and recently as leader of the MA in Creative Writing at Edinburgh Napier University. All this experience means I can design an individual development process for every project. Whether you’re planning to self-publish or hoping to get an agent, it’s like having a mini Masters programme created just for your book! It’s also flexible and affordable. You can pay in small instalments and arrange the work at your own pace, with face-to-face meetings or Skype sessions available on evenings and weekends as well as through the week. If you browse the rest of this website you’ll find more about working with me, and about the other resources I’m developing. But if you have a story you want to talk about, the best thing is to get in touch. Just contact me for a chat — I’d love to hear from you. If you struggle with the design of this website, you can use a more basic styling for the rest of your session. Styles will be restored on your next visit. You are currently using the high accessibility version of this website. You can revert to the standard styling if you wish. You can email sam@samboyce.net, phone or text on +44 (0) 7720 811814, Tweet , Facebook or Skype.